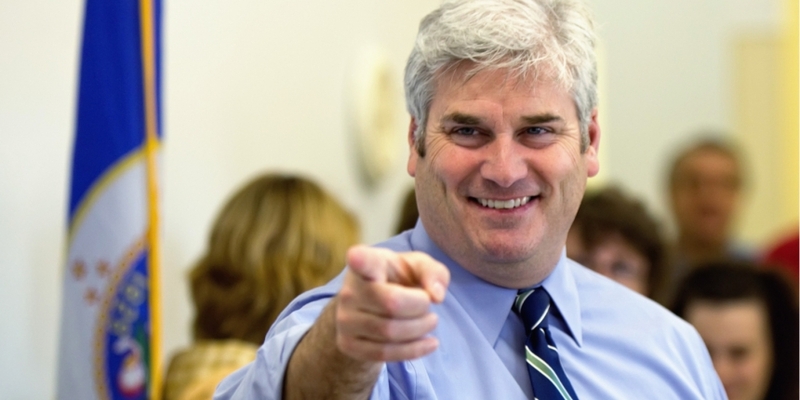 U.S. Representative Tom Emmer wants to boost crypto companies which may be impacted by state-level money transmission laws with a bill aimed at creating exceptions for firms which do not store any coins. House Resolution 528, which aims “to provide a safe harbor from licensing and registration for certain non-controlling blockchain developers and providers of blockchain services,” would allow companies which use or trade cryptocurrencies but do not hold users’ coins to be exempt from money transmission laws if passed. The bill is identical to one Emmer introduced last year with the 115th Congress, though there are a few key differences which may ensure its passage through the House – or at least give it a boost. The first is that unlike its previous iteration, the bill now has bipartisan support, a spokesperson for the Congressman told CoinDesk. Representative Darren Soto, a Democrat, is now listed as a co-sponsor for the bill. Further, “this time around, this bill … will be referred to the Financial Services committee which Congressman Emmer sits on, and we intend to see the House take up the measure,” the spokesperson added. D.C. advocacy group Coin Center noted previously that “state money transmission licensing laws are broadly drafted and carry harsh penalties for failure to comply,” after the bill was last introduced. The key issue is that “only custodians present a risk of loss that would be sensibly addressed through licensing,” the group wrote at the time. According to congress.gov, the bill has been referred to the Judiciary committee as well as the Financial Services committee, and each group will consider the provisions of the bill relevant to their mandates.